Today, we continue our rundown of the most popular prehistoric animals as compiled by all the data sources available to Everything Dinosaur team members. We have already published information on numbers ten to six, now it is time to look at the top five. A faller from last year, when it hit an all time high at number two, is Spinosaurus. We received a lot of enquiries about this dinosaur when the new interpretation of this piscivore was published back in September . This secured this huge reptile’s position in our top five. The scientific paper which re-examined the Spinosaurus fossil material was published in the journal “Science”. It was one of the most eagerly awaited papers of the year. The review interpreted Spinosaurus as an obligate quadruped, in essence, here was an enormous dinosaur that walked on all fours. Very much at home in the water. A perennial favourite, especially amongst the girls, is the plated dinosaur Stegosaurus. Everything Dinosaur received a constant stream of Stegosaurus themed questions and enquiries over the last twelve months or so. The interest in this Late Jurassic herbivore peaked when the new Stegosaurus exhibit at the Natural History Museum (London) was unveiled. We even invited a young dinosaur fan (thanks Milan), to blog about this Stegosaurus (S. stenops) specimen, which is affectionately known as “Sophie”. Everything Dinosaur confidently predicts that the research project currently being undertaken at the Natural History Museum will yield some very interesting information about Stegosaurs. A non mover at number three and the only representative of the horned dinosaurs in our top ten countdown is Triceratops. It is ironic that “three horned face” remains at number three in our countdown of the ten most popular prehistoric animals of 2014. This dinosaur is popular with both boys and girls and with the introduction of the Papo baby Triceratops replica in August, sales of Triceratops models were given a boost. The baby Triceratops certainly works well with the excellent adult Triceratops model introduced by Papo. A number of scientific papers detailing research into the Ceratopsidae were published this year. Almost without fail, Triceratops got a mention somewhere. Despite the increase in Centrosaurine and Chasmosaurine dinosaurs, Triceratops remains very much the best known of all the horned dinosaurs. There was some research published in 2014 dedicated to the Triceratops genus itself. In July, Everything Dinosaur reported upon some fascinating research that looked at how Triceratops species evolved over the course of the latter stages of the Late Cretaceous. Up two places from last year and into the runners up spot comes Velociraptor, a rapid rise for the “speedy bird of prey”. A short clip from the “Jurassic World” trailer showing Chris Pratt on a motorbike leading his posse of trained Velociraptors got tongues wagging and we were contacted about this by a lot of other bloggers as well as media correspondents. Could Velociraptors be trained? Would there be a “raptor show” in the “Jurassic World” theme park? These are the sort of questions we were asked. As with all the questions we get asked, we did our best to answer them using our knowledge of the Dromaeosauridae. After all, if parrots can be trained to ride bicycles then why not train a Velociraptor to follow a motorbike? Velociraptors feature in the forthcoming movie. Before we reveal our number one, a few honourable mentions for those prehistoric animals not quite in our top ten. Pachyrhinosaurus (horned dinosaur), Dolichorhynchops and Ichthyosaurus (marine reptiles), Smilodon (Sabre-Toothed Cat), Yutyrannus (Early Cretaceous tyrannosaurid) and the Pterosaur Pteranodon. Remaining at number and it seems more popular than ever is Tyrannosaurus rex. Interestingly, the “King of the Tyrant Lizards”, got a boost in popularity due to the increasing number of new types of tyrannosaurid that have been described over the last two years or so. As more research is published on dinosaurs such as Yutyrannus and Lythronax argestes, so just like Triceratops placed at number 3, T. rex tends to get a mention in the text and this leads to more questions being asked at Everything Dinosaur. There is a “knock on” effect that benefits Triceratops to some extent but T. rex benefits more. Tyrannosaurus rex is such an iconic animal that it manages to get a look in even when the initial subject matter has nothing to do with it. For example, the book, “Dinosaurs of the British Isles” features information on T. rex even though no Tyrannosaurus rex as far as we know, ever lived anywhere else except North America. A T. rex is very likely to be seen in “Jurassic World” so we confidently predict this apex predator is going to be number one next year as well. 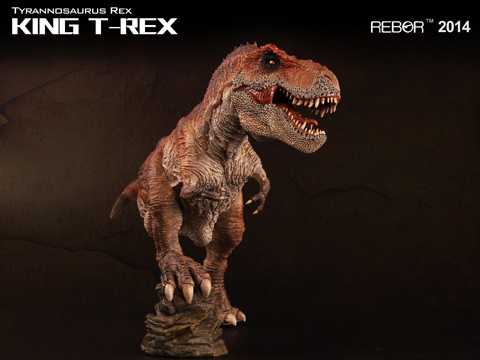 The introduction of a new Tyrannosaurus rex model by Schleich helped T. rex dinosaur sales as did the spectacular Rebor KING T-REX 1:35 scale replica which came out in early December. So there you have it, we complete our blog articles for 2014 by finishing off our top ten countdown of the most popular prehistoric animals. As 2014 draws to a close, it is time for Everything Dinosaur team members to put together a list of the top ten most popular prehistoric animals over the last twelve months. We have looked at product purchases, requests for fact sheets, questions asked, email subjects, social media comments as well as information put together as a result of our many school visits. All this data has been compiled to produce a top ten of the most popular dinosaurs and other prehistoric animals, this is the first part of our countdown, dealing with those animals in positions ten down to six. The super-heavy weight Titanosaur Dreadnoughtus (D. schrani) made a Boeing-737 sized impression when the scientific paper detailing the discovery of this huge dinosaur was published back in September. We were bombarded with emails requesting further information about this enormous South American Titanosaur. The blog article we wrote providing more information was widely circulated and even the scientists behind the research into Dreadnoughtus, one of the largest land animals ever described wrote to congratulate us on our work. Huge dinosaur from southern Patagonia. This is the first time in the history of our annual survey that a dinosaur only seen in a movie has made the top ten. In November, Everything Dinosaur’s weblog was one of the first blogs to feature the official trailer to the film “Jurassic World”. The big villain in this new film, due to premier in June 2015 is a genetically modified Theropod dinosaur known as Diabolus. So far only tantalising glimpses of this new dinosaur have been provided by the film makers, but on the strength of this, we received an amazing number of enquiries. Even pointing out that in essence, all the dinosaurs featured in the “Jurassic Park” franchise were genetically modified (dino DNA mixed with frog DNA in the book if our collective memories recall correctly), did not dampen people’s enthusiasm for this “new” type of dinosaur. Described as a cross between Tyrannosaurus rex, Velociraptor, a snake and a cuttlefish we can’t wait to see more of this new dinosaur on the block. A “feat” of genetic engineering? We suspect that this dinosaur is going to climb even further up our chart in 2015. Not a imagined, but definitely for real, well as far as we can tell from the fossil record. In at number eight Giganotosaurus (Giant Southern Lizard). This Cretaceous dinosaur, which is believed to be one of the largest meat-eating dinosaurs that ever lived has remained popular all year. There was a “spike” in requests for fact sheets featuring this Theropod when news about Dreadnoughtus broke but this dinosaur from Argentina remains amongst the most popular of all the carnivorous dinosaurs, particularly with young dinosaur fans (the boys anyway). Giganotosaurus retains the number eight slot in our countdown (it was number eight in 2013 and did not feature in our top ten in 2012). We expect this dinosaur to remain a firm favourite especially with Schleich bringing out a new replica and Papo including a Giganotosaurus in their new for 2015 tub of mini dinosaurs. The only mammal to feature in our top ten (unless of course the genome of Diabolus rex contains mammalian DNA), is the Woolly Mammoth. We were sent a large number of Woolly Mammoth drawings this year and there was quite a lot of media interest in this extinct elephant when the documentary entitled “Woolly Mammoth – the Autopsy”, aired in late November. The controversy over the potential cloning of a Woolly Mammoth helped give this prehistoric animal’s popularity a bit of boost. Just out of the top five and falling one place from last year’s survey is Brachiosaurus. Sales of Brachiosaurus models have been particularly strong this year, leading the way, in part, was the Papo Brachiosaurus replica. The Papo Brachiosaurus is one of the largest sculpts that Papo have attempted, it certainly is a beautiful model and it has proved popular with professional collectors and young dinosaur fans alike. Measuring around forty centimetres in length, this 1:55 (approx.) scale model has received rave reviews since it was launched. In our next blog article we will conclude our countdown of the top ten most popular prehistoric animals of 2014. The Cambrian lasted for over fifty million years and in the latter part of this period in Earth’s geological history there was a huge increase in marine animal diversity. The evolution of so many new forms of life is often referred to as the “Cambrian explosion” and thanks to localities such as British Columbia’s Burgess Shale and the amazing fossils from Chenjiang in China, palaeontologists have been able to build up a remarkably detailed picture of the fauna that flourished in the oceans of the world, during a time when our planet looked very different from today. Thanks to the beautifully preserved fossils, scientists have been able to piece together marine ecosystems and to study the organisms the evolved in what is often regarded as the first truly significant evolutionary event in the history of life on Earth. Those clever people at Safari Ltd produced a set of replicas of ancient creatures that represent typical examples of the Cambrian biota. Entitled “Cambrian Life” the set includes eight models representing ancestral sponges, marine worms and, perhaps most significantly of all the Arthropoda, that huge phylum that includes the crustaceans, trilobites, spiders and insects. Examples of the Cambrian biota. The eight models are very colourful and are great teaching aids. Trouble is, there are no data sheets on these bizarre organisms included in this model set. One of our team members wrote back and explained that there was no description leaflet made for the Cambrian Life Toob, however, we decided to do something about this ourselves. We are much happier when it comes to researching vertebrates but over a morning we were able to produce four data cards. Each card features two of the prehistoric critters in the set, we have tried to provide a little more information, such as size, fossil finds and which type of animals the creature represented by the replica might be ancestral to. We would not claim to be experts on Cambrian fauna, however, the models are so well made and great for school projects so we thought we would do our bit to help. We were able to email this information to the customer. They were delighted with our customer service. One of the things we like to do at this time of year is to review this blog site and pick out those blog articles and news stories that we have featured that have proved to be the most popular. Of the three hundred and sixty articles written in 2014 (we try to write one article per day), picking out just ten has proved to be quite a challenge. However, we have looked at page views, comments, Facebook likes, retweets and a whole range of other factors to help us compile a top ten. The subjects covered this year have been as diverse as in previous years, with features ranging from three dimensional printers, the origins of life on Earth, crocodile attacks, World Heritage sites, shrinking Sauropods as well as fossil discoveries, new dinosaur models, and Everything Dinosaur updates. Our top ten list reflects the breadth of the topics that we try to cover on this web log and although we would not want to claim any statistical validity for this particular piece of research, here is our top ten countdown. There have been a number of new marine reptiles named and described this year, including some Early Triassic animals whose fossils have been found in China. However, 2014 marks the 200th anniversary of the publication of the first academic paper that described an Ichthyosaur and in at number ten is a short article we wrote back in June commemorating this anniversary. Christmas is a time of year when families get together. In 2014, research into the “human family” has continued at a pace. Team members predicted that there would be more news stories this year about developments in hominin genetic research and it turns out that some diseases associated with our population are linked to our Neanderthal ancestry. One of the first articles we published on the blog looked at a study that had concluded that some diseases associated with H. sapiens can be related to our inherited H. neanderthalensis genes. A fragmentary fossil of an ancient flying reptile that had been discovered in 2001 got fans of the Pterodactyloidea in a bit of a flap this year when a scientific paper was published describing a new type of Pterosaur. The fossil came from north-western China and it pushed back the evolution of the Pterodactyloidea by at least another five million years. Kryptodrakon progenitor, (the name means ancestor of the hidden dragons), is the most primitive, basal member of the Pterodactyloidea Pterosaur family known to science and Everything Dinosaur wrote about this exciting fossil find back in April. Readers of this blog site may well be familiar with the term genome. A number of ancient creatures have had at least part of their genome mapped, Neanderthals, Woolly Mammoths and such like, but in at number seven is an article all about the work of Manchester University and their research into mapping elements such as Zinc, Copper and Nickel that can be preserved within the fossil record. University of Manchester researchers used a synchrotron particle accelerator to bombard a fifty million year old fossil leaf to help them calculate the chemical composition of an ancient plant. They then compared this data with the metallome of a modern species from a related plant. This was heralded as the start of the “metal age of palaeontology”. This is the first article in our top ten that concerns the Dinosauria. 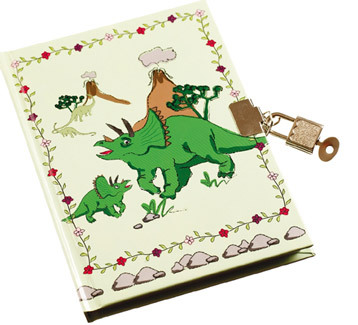 Sadly, Everything Dinosaur has written about a number dinosaur fossil thefts in 2014. Thieves stealing fossils, especially those of dinosaurs, is a trend we see continuing over the next few years and our story at number six concerns the theft of a dinosaur footprint from Bureau of Land Management managed land in Utah. We first reported on the theft on February 22nd, a local man, the owner of a construction company, was accused of the theft, which he at first denied but in a court hearing (July) he pleaded guilty to stealing the fossil. Moab resident Jared Ehlers (35), was sentenced on October 20th to six months house arrest and one year of probation. In addition, he was ordered to pay over $15,000 dollars in restitution to help cover the expenses incurred by the Utah Department of Public Safety as they searched the Colorado River for the fossil. Fearing prosecution, Mr Ehlers, who claimed that he had stolen the three-toed footprint as he wanted to make a coffee table out of it, threw the fossil into the river, unfortunately the fossil has never been recovered. Six months house arrest plus probation and substantial fine for fossil theft. Into the top five and at number five is an article that featured the launch of Everything Dinosaur’s new website aimed at helping teachers and other educationalists when it comes to teaching about fossils and prehistoric animals. The specially commissioned website – Everything Dinosaur for Schools contains lots of helpful articles, free downloads and teaching tips aimed at helping teaching professionals and museum staff. Helping to Teach About Dinosaurs and Fossils in School etc. The new site was launched at the end of August to coincide with the start of the autumn term and lots of schools have already benefited from the articles featured as well as the example lesson plans and downloadable teaching resources. Dinosaur fans young and old have been eagerly looking forward to the release of the fourth film in the “Jurassic Park” franchise, “Jurassic World”. The film is due to be premiered in June of 2015, but back in November, a trailer for the movie was finally released and sure enough, Everything Dinosaur’s blog site was one of the first to feature it. The film is bound to be a huge success when it finally comes out and the trailer certainly whetted the appetite and teased viewers about the new, mysterious, genetically engineered dinosaur that is the big villain of this latest instalment of “Jurassic Park”. We can’t wait to learn more about “Diabolus rex”. The original blog article featuring the trailer was published on November 25th. Had the trailer come out slightly earlier in the year, it could well have made it to the number one spot on our list. 2015 sees the introduction of a lot of new dinosaur and prehistoric animal models. Collectors can expect new models from Schleich, Papo and Safari Ltd. All our posts about new replicas did well in our survey of the top blog articles of this year, but our only top ten entry concerns the new 2015 releases from Collecta. We first revealed the list of models back in late October, over the following weeks we wrote several articles providing more information about these new additions to the highly successful Collecta “Prehistoric Life” model range. Runner up is an article we published on the 27th September. Everything Dinosaur team members had blogged about the fact that dinosaurs in the Ankylosauridae don’t seem to attract that much attention when compared to other Ornithischians. How wrong we were as the naming and describing of a new type of heavily armoured dinosaur sparked a great deal of interest amongst readers. Fragmentary fossils including beautifully preserved cranial material found in 2011 in strata related to the Kirtland Formation were described this year and a new type of armoured dinosaur named. Ziapelta sanjuanensis at over six metres in length, would have made a very formidable adversary for even the largest, hungriest Theropod dinosaur. This ankylosaurid that roamed New Mexico between 74 and 72 million years ago (Campanian faunal stage), is extremely important as the fossils indicate affinities with better known ankylosaurids whose fossils have been found in Canada (Alberta). This spiky herbivore, described as a “living tank” certainly caused a stir when the scientific paper was published. Before we reveal our top blog article posting of the year, time for a few honourable mentions. 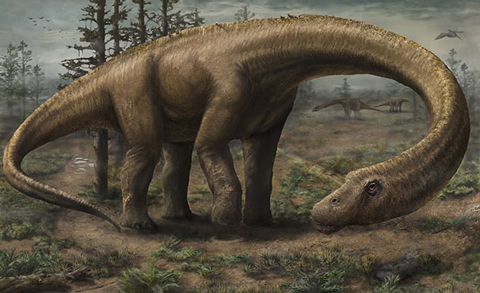 The research into the giant Titanosaur known as Dreadnoughtus schrani proved very popular, as did a number of articles published earlier in the year about Patagonian fossil finds. The introduction of the new, high quality dinosaur replica range from Rebor got collectors very excited along with our video review of the new for 2014 prehistoric animal models, including a short video we made showing how to ease the articulated jaw on the Papo Dilophosaurus. Top of the tree, our number one article was published on the 18th of March. It concerned a review of the new Tyrannosaurus rex model made by Safari Ltd. This model, the only new Carnegie Collectible replica introduced by the company this year was reviewed by Everything Dinosaur team members and despite being introduced with a number of Wild Safari models, it was this T. rex figure that drew most of the attention. We also made a short video review of this very well made model, it also proved popular. This model featured in one of our Outlook signatures created for our emails, it must have been seen thousands of times and we also made several reviews of this particular scale replica. The red colouring around the head and its fearsome pose were commented upon by a number of blog readers and we received lots of correspondence about this model from professional collectors and from young dinosaur fans. A very big thank you to everyone who commented, retweeted and “liked” our articles. We look forward to writing more in 2015, a year that should, if everything goes to plan, feature our 3,000th published article on this site. A very strange member of a little known group of ancient marine reptiles has been formally described by a joint team of American and Chinese scientists. The new genus described as “platypus-like” is a Hupehsuchian, part of a group of Early Triassic diapsid reptiles, that may have been ancestral to the much better known Ichthyosaurs. The fossil has been named Eohupehsuchus brevicollis, the name means “early short-necked crocodile of Hubei Province” and it was excavated from strata laid down around 248 million years ago (Olenikian faunal stage), as the world recovered from the “Great Permian Dying”, a mass extinction event that is believed to have wiped out around 95% of all the species on the planet. Fossils associated with Hupehsuchia have been found in two counties within Hubei Province (eastern, central China). The Order Hupehsuchia was named after the alternative name for Hubei Province (hupeh), E. brevicollis is unlike any other known member of the Hupehsuchia as it possessed a short neck, with only six cervical vertebrae. Other Hupehsuchians had much longer necks, with at least ten neck bones. The forty centimetre long specimen is believed to represent an adult animal, it is somewhat smaller than the better known Nanchangosaurus (fossils dated from the Middle Triassic) and it lacked teeth. Analysis of the skull and jaws indicate that this little reptile probably had a beak like a duck (hence the platypus analogy), it paddled its way through the shallow sea using its strong limbs. The bones are thickened and heavy, indicating some adaptation to a marine environment. Heavy bones would have helped these animals dive, although it did possess extensive dermal armour, perhaps a remnant of its terrestrial ancestry. Scientists are unsure as to whether the extensive armoured scales evolved in the Hupehsuchia after they adapted to a marine existence or whether these tough scales evolved in this group’s reptile ancestors, which lived on land. The holotype material for E. brevicollis. With at least four genera identified as Hupehsuchia, researchers are beginning to piece together how marine ecosystems recovered after the Permian mass extinction. Intriguingly, this specimen indicates that there were most probably large vertebrate predators in the habitat 248 million years ago. The left forelimb is incomplete, with several bones missing and those present are broken. This has been interpreted as a bite from a larger predator that could only have occurred pre-burial. This little reptile may have been attacked by a predator and escaped only to perish and to be buried a short while after. This fossil find adds to the growing body of evidence that suggests a rapid radiation and diversification of vertebrates after the mass extinction event. The University of California researchers have been prominent in the research into Lower Triassic marine reptiles from China. Back in November, Everything Dinosaur published an article on a fossil of a basal Ichthyosaur that had been studied by this team. Unlike, Eohupehsuchus which comes from Hubei Province, the basal Ichthyosaur fossil was found in the neighbouring province of Anhui (to the east of Hubei Province). The great day has arrived, team members are swishing their tails and roaring with excitement, but just time to wish all our blog readers, customers, Facebook fans, Twitter followers and everyone else for that matter the compliments of the season. We can’t believe it has been a whole year since we were wishing everybody a Happy Christmas 2013! In the next few days we will start our review of the most popular blog articles of the year, look at the results from our prehistoric animal survey and compile our predictions about what we think is going to happen in palaeontology over the next twelve months. However, that is all for another day. A lot can be learned from the skulls, teeth and jaws of prehistoric animals. However, what goes in one end has to come out the other. Quite exactly how the dinosaurs voided their digestive tracts (went to the toilet), remains a mystery, but a pair of scientists based in Brazil have mapped the fossilised excreta associated with a number of Mesozoic formations in that South American country. The research has just been published in the “Journal of South American Earth Sciences”. So let’s get down and dirty with the Dinosauria. Many people might be aware that fossilised faeces are called coprolites. The word coprolite comes from ancient Greek, it means “dung stone” from the words kopros for dung and lithos for stone. We suspect that rather less people are aware that trace fossils believed to represent displaced sediment as a result of a stream of urine coming from a vertebrate are referred to as urolites. The word urolite is also derived from the Greek. Uro meaning urine and lithos for stone. “Shiny side up” the joys of “dino dung”. Back in 2004, the two scientists responsible for this latest research paper, Marcelo Adorna Fernandes (University of São Carlos), and Paul Roberto Figueiredo Souto (University of Rio de Janeiro), published a ground-breaking study (no pun intended) into trace fossils believed to be represent the disturbance caused in sand when a stream of urine hits that spot. These traces of animal behaviour were preserved as fossils and so scientists had the opportunity to study the patterns made from splashes of urine. The urolite fossils studied in 2004 and also examined in this latest paper, come from Cretaceous sandstone deposits of São Paulo State, in south-eastern Brazil (Botucatu Formation). They have been found in association with the fossilised footprints of two different types of dinosaurs, a meat-eating Theropod and an Ornithopod. It is not known which type of dinosaur created the urolites. Study into the trace fossils made by the elimination of water from ancient creature’s bodies. The above photographs show three trace fossils that are believed to correspond to liquid wastes (A,B and C). Photograph D shows an excavation created by dropping two litres of water from a height of eighty centimetres as the scientists experimented to try to recreate the impressions. In all of the photographs the scale bar is in centimetres. One of the reasons why scientists believe that the dinosaurs came to dominate life in the Mesozoic is that they were very efficient at retaining moisture inside their bodies compared to other types of terrestrial vertebrates . Most types of birds excrete very little water with their faeces. In fact, the way in which birds and reptiles deal with processing waste products, particularly those wastes and toxins associated with protein digestion, differs from the way that mammals handle the problem of expelling waste. Ammonia, a by product of protein digestion, is toxic, it has to be got rid of. Mammals convert ammonia in the body into a concentrated form (urea), this is expelled as urine, but it means we lose water. Reptiles and birds tackle the problem of getting rid of ammonia in a slightly different way. These other types of amniotes convert the ammonia into uric acid, which is much less toxic than urea. It therefore does not need to be diluted with water to such an extent. Indeed, uric acid does not need to mix with any water at all, it can be excreted as a semi-solid and thus, a lot of water can be conserved in this way. The internal plumbing of birds and reptiles also varies. Crocodiles and some types of Ratite, such as the Ostrich, can expel urine and faeces separately, the urine first followed by the solids (usually). Most birds and most reptiles tend to expel what liquid they wish to get rid of as well as any solids at the same time. Kind of a “one flush system” as we call it. The mystery about dinosaur waste elimination is this – did the Dinosauria expel urine and faeces separately like ostriches and crocodiles or were they to a “one flush system”? Perhaps different types of dinosaur expelled waste in different ways. Ostriches for example, can store their urine in a urodeum, an organ similar in function to the mammalian bladder. The solid waste is stored in another organ called a coprodeum, this is eliminated subsequently to the urine expulsion. Observations of Ostriches spending a penny as it were, shows that they produce a strong jet of urine that hits the ground with quite a force. They create similar patterns in unconsolidated soil as seen in the trace fossils found in the Botucatu Formation (pictures A, B and C above). So why bother to map the places in Brazil where coprolites and urolites are found? These fossils provide important evidence to palaeontologists. They help scientists build up a picture of the diet of vertebrates and evidence of plant remains as well as depositional data can provide information about the palaeoclimates. For example, the sandstones of the Botucatu Formation where the urolites were found, represent a dune environment interspersed with oasis and wadis. In this latest research paper, coprolites from Upper Cretaceous as well as potential Jurassic aged deposits have been mapped. This all helps to extend our knowledge with regards to the Gondwana biota during the Mesozoic. The location of coprolite and urolite fossil specimens included within the 2014 study. This area of research is often overlooked. There is a lot we do not know about the Dinosauria. Take for example the Late Cretaceous Hadrosaurine dinosaur Maiasaura (Maiasaura peeblesorum). The Two Medicine Formation of Montana provided an extraordinary amount of evidence about this Ornithopod and its nesting behaviour. The fossil deposit location was referred to as “egg mountain”, as these sediments preserved evidence of huge nesting colonies. In addition, this location is one of very few in the world where large amounts of coprolite directly associated with a single genus was discovered. It seemed appropriate as well as polite to nick-name these highly fossiliferous sites “egg mountain”, naming the location “*h!# mountain” would have been scientifically valid, but perhaps not as acceptable in popular literature. The only other locations where urolites associated with the Dinosauria have been described (as far as we know), are France and Germany.